The decline of many individual and wild fish stocks has commanded an increase in aquaculture production to meet the protein demands of a growing population. Alongside selective breeding schemes and expanding facilities, transgenic methods have received increasing attention as a potential factor in meeting these demands. 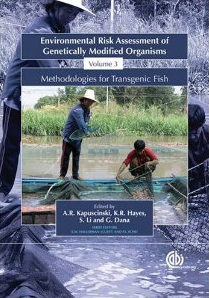 With a focus on developing countries, this third text in the series provides detailed information on environmental biosafety policy and regulation and presents methodologies for assessing ecological risks associated with transgenic fish. Publication Date: October 2007 Authors: A.R. Kapuscinski, K.R. Hayes, S. Li and G. Dana This is a STAP Collaborative Publication Publication is available for purchase at CABI Bookshop and other popular online book retaliers.